While there’s a lot of great natural sunscreen brands out there creating alternatives to the hormone inhibiting chemicals found in most standard brands, sadly a lot of them are still produced in plastic packaging. Below are some sunscreen brands I’ve discovered that are both natural and safe enough for our skin and coral reefs, but also packaged in biodegradable or reusable materials. These guys haven’t cut corners, using cardboard or metal packaging, as well as reef safe ingredients. 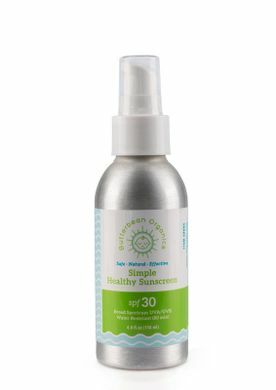 You’ll find an all natural and water resistant SPF 30 sunscreen in a metal pump bottle on their site, along with refillable pouches so you can continue using the same bottle. These mineral based sunscreens are produced in Florida and made with fair trade, and organic ingredients. Their range features sunscreen sports sticks in cardboard packaging, or metal refillable packaging with refillable packs available. I love the fact that they ship using recyclable materials. With a shout out from Vogue under her belt, EIR was developed by former extreme athlete and surfer Jun Lee. Understanding the perils of trying to remove zinc from your face, Jun came up with an all-natural and hydrating zinc remover that also acts as an after sun cream. Her products aim to have a minimal impact on the planet with her zincs packaged in cardboard or a metal tin. Ticking all the boxes, these Australian made sunscreens are vegan, cruelty and toxin free, organic, fair trade and ethically sourced and to make it on this list, they’re also eco-friendly and entirely natural. For those looking for plastic free makeup, they also sell mineral foundation and plastic free mascara too. Check out their range of zero waste skincare here. Safe on coral reefs and made with only six ingredients including Zinc. Find it here.